Plywood is a common type of engineered lumber. Engineered lumber is a man-made product that uses pieces of wood to construct a larger piece of wood. This type of wood is commonly used in the construction industry in a variety of applications, such as in flooring, sub-floors, and siding. By using engineered lumber, individuals can benefit from a stronger wood and save some money at the same time. 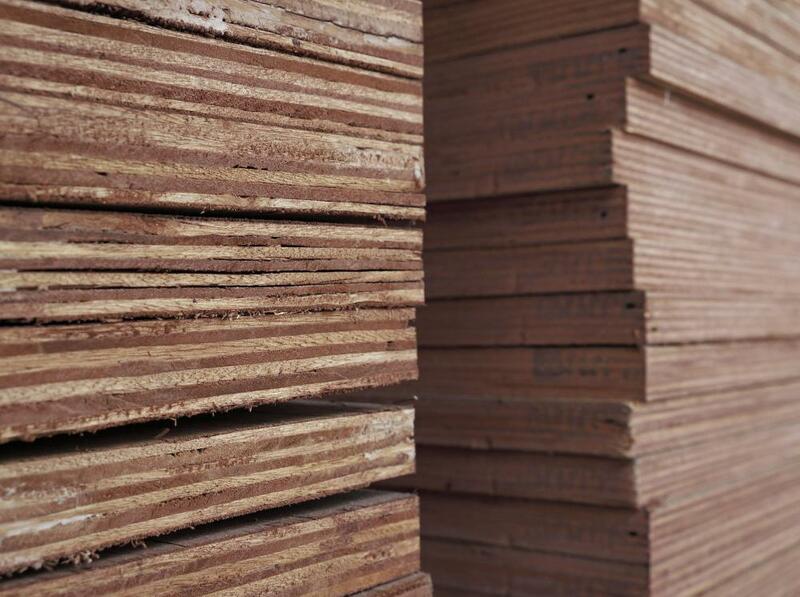 Engineered lumber is constructed by taking pieces of wood and pressing them together with high pressure. The direction of each piece of wood is alternated so a cross-ply piece of wood is constructed. The direction of each sheet of wood is opposite from the one next to it. One of the primary benefits of using engineered lumber is that it is stronger than a regular piece of wood. With this type of wood, it will not expand and contract as easily as a solid piece of wood. Each layer is going to expand and contract at its own pace and will push against the other layers in the piece of wood. This prevents the wood from buckling or warping. By having multiple layers of wood, the wood has added strength. There are multiple grains within the wood, which creates a scenario in which the wood can not be damaged as easily. It is this reason that engineered wood is commonly used in different applications. Another one of the benefits of using engineered wood is that it is less expensive than a solid piece of wood. When constructing a piece of engineered wood, the manufacturer can use less expensive woods in the core of the board. This allows the manufacturer to use more expensive woods on the outside without the cost of using solid wood pieces. Another reason that engineered wood is less expensive is because there is less waste in creating it. Manufacturers can put small slivers of wood together to create a board. When a full, thick piece of wood has to be used, only so many of these pieces can be harvested from a tree. This reduces the amount of pieces that can be constructed and increases the amount of waste in the process. By reducing the waste, the manufacturer can also reduce the price. One of the most popular uses of engineered lumber is in the form of plywood. 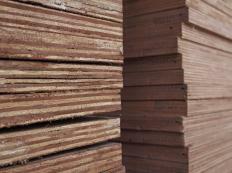 Plywood is used in sub-floors and in a variety of other applications. This type of wood is also commonly used in the construction of wood flooring.